This summer sped by quicker than the last (they seem to go faster every year) but that is nothing to be sad about. I am welcoming Fall with open arms, but have to say goodbye to Summer in style… triangl swimwear style. 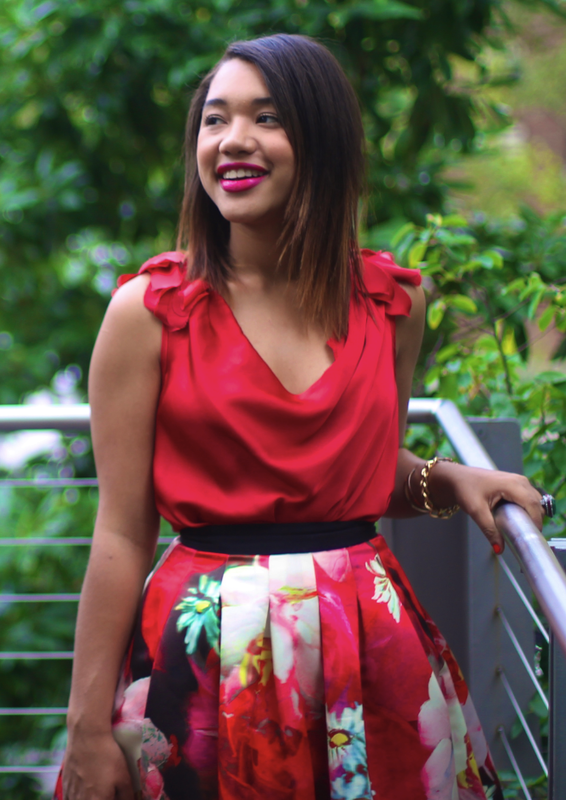 Today, let's take a walk on the bright side with some seriously saturated styles! Today I'm proving that sometimes the best accesories are semi-colorblocked, covered in fur, have four legs (despite their desire to use them) and come when you call them… well sometimes. 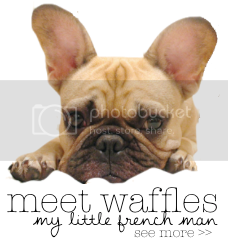 Of course I am talking about the best/worst French Bulldog around… Waffles! In case you haven't noticed, I'm not much of a jeans wearer. Actually pants in general tend not to be my friend, but today we're becoming besties! Red has somehow become my signature color. 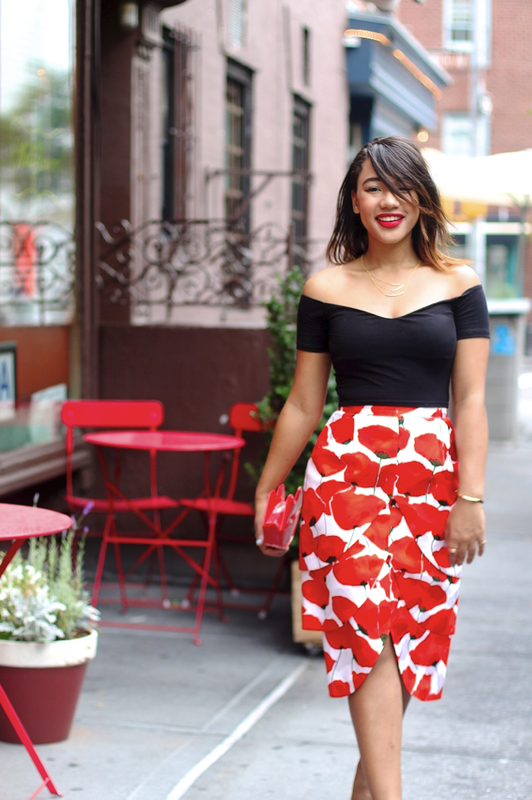 It started with my go-to red lipstick and spread like wildfire throughout my wardrobe… but I can't say I am mad about it. 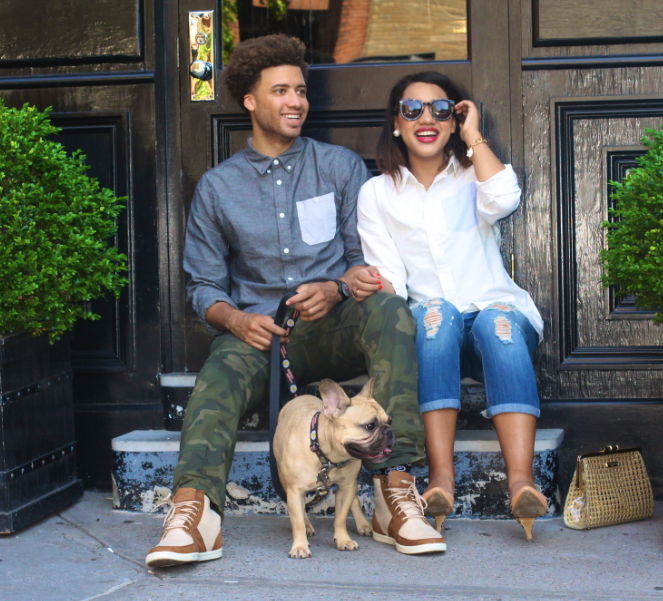 A graphic tee is a closet must have (Even Waffles agrees, remember this post?). It has limitless potential when it comes styling and is pretty much seasonless! Although my style (and perhaps my personality?) totally changes as the seasons do, a graphic tee almost always makes an appearence. 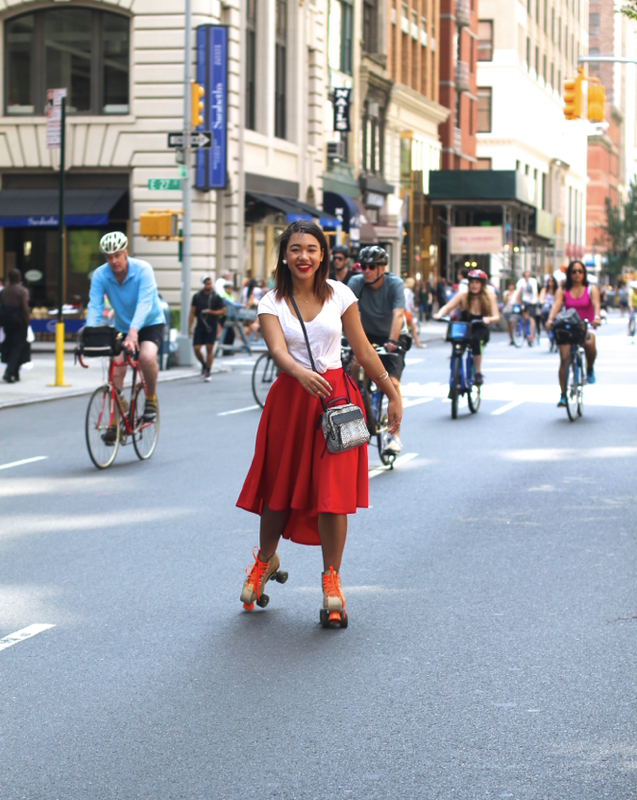 This summer, my statement tees met my ripped denim, full skirts, sporty styles and even a mini skirt or two. Let's play with colors, because, why the heck not? For today's color combo I'll mix a little yellow with florescent pink for a neon on neon look that is sure to get noticed, or at the very least blind the people passing by, hayyy! Pop quiz, what is of the most plain and basic piece in your closet? What's the most versatile? Every considered combining these two must haves into one? Am I totally blowing your mind right now? I try not to play favorites with my clothes, but sometimes a few pieces carve a special place in my heart … and closet. 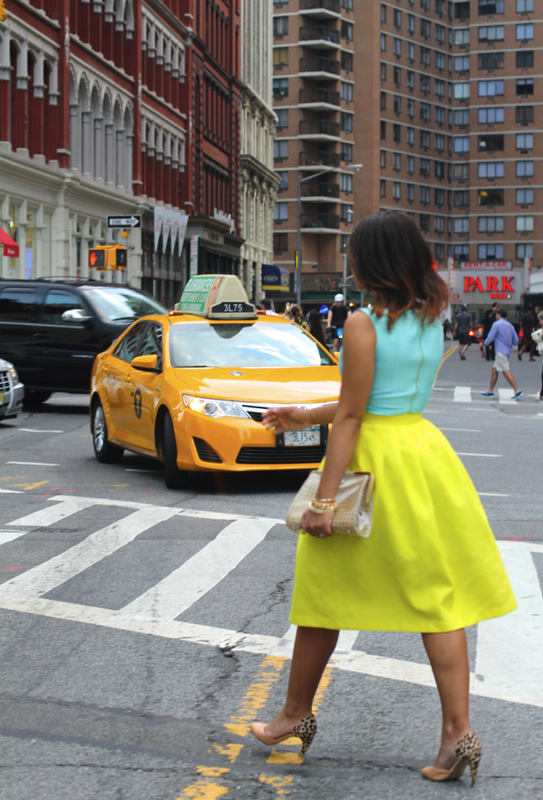 I first fest for this Ted Baker skirt back in January, but our love affair really started in February when I purchased the beaut for NYFW. Last Feb was my first real NY Fashion week (eek) so I had to show up in style, but didn't want to splurge on something I wouldn't wear again - I tend to stick to pretty affordable pieces (shopping at asos, modcloth & lulus on the reg + bauble bar both online & via nordies for killer jewels). 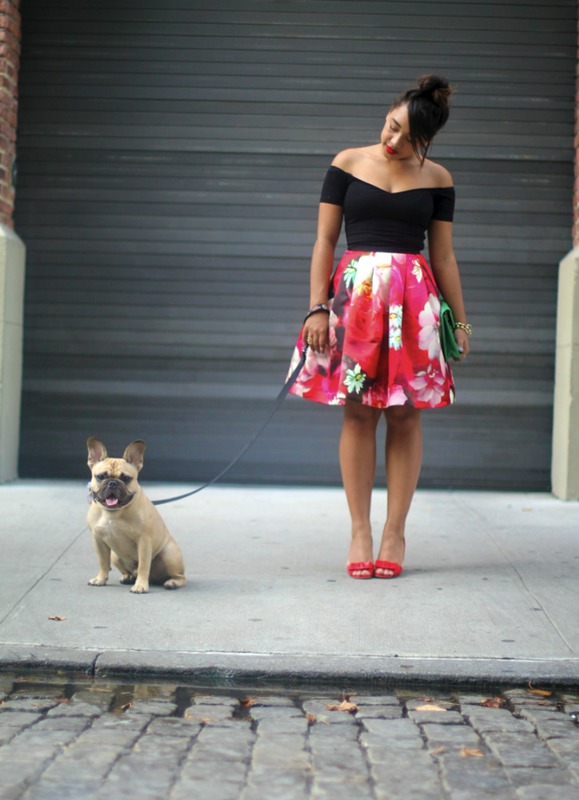 For this splurge I had to pick up my first Ted Baker skirt, something I knew I could wear countless ways.